Maintenance (what is commonly called alimony or spousal support) is intended to allow both parties to be financially independent and to live to the same standard of living that they became accustomed to during the marriage. Unlike child support payments, maintenance (alimony) payments have income tax consequences, as the payments are deductible to the person making the payments and considered income subject to taxation to the person receiving the payments. 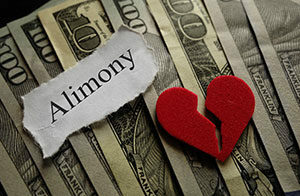 Maintenance (alimony) is typically ordered for a specific number of years. A Court can award temporary maintenance and/or post-divorce maintenance. Temporary maintenance is awarded for the period of time between the filing of the divorce action and when the divorce is final (which can be anywhere from several months to several years). Post-divorce maintenance is for maintenance after the divorce is final. There is a formula to determine the amount, if any, of temporary maintenance. The formula is somewhat complicated, however, in simple terms, the amount of temporary maintenance can be anywhere from 0% to about 30% of your income. The Badanes Law Office will make sure that you are armed with the advice you need when it comes to alimony (maintenance). If you need help in your divorce or in your alimony (maintenance) issue, contact Long Island divorce attorney David P. Badanes today. If you need a Long Island Divorce Attorney to help you in your divorce or in your maintenance (alimony) issue, contact the Badanes Law Office today.